In Ayurvedic language 'Yakrit' is the name for Liver which is an organ of production and maintenance center for a fire or Pitta and so there is a need to maintain the balance of pitta dosha for good health of the liver, thus supporting the liver's ability to flush out toxins from the body. FLD (Fatty Liver Disease) is named as a 'Kaphavrita Pitta' in Ayurveda which happens when the liver is overfilled with toxins like alcohol or fats, it has to work too hard and burn too hot. This causes inflammation and problems throughout the body and destroys the cells. Fatty Liver is described as a disease which involves the buildup of fat in liver which is followed by the inflammation of liver and advance stage can lead to serious complications. 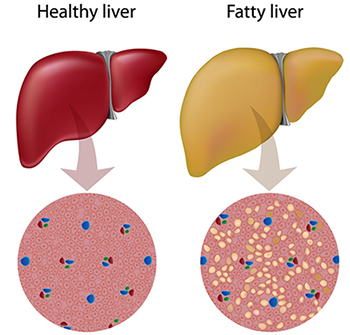 There are two major types of Fatty Liver. Nonalcoholic fatty liver disease (NAFLD) - Specific reason is not exactly known but other than Alcohol. What Are Symptoms of Fatty Liver Disease? Initially there might not be any symptoms and symptoms are usually revealed until the liver disease is far advanced and liver gets inflamed. Nutritional causes like starvation or protein malnutrion. Yakritplihantak churna is the unique herbal formulation in the form of powder having combination of certain efficient Ayurvedic herbs which help to bring about liver detoxification. This property makes it an effective herbal formula for liver detox and fatty liver disease. It has the ability to effectively eliminate excessive fat from the liver and promotes the regeneration of the damaged liver cells. It can maintain the metabolism and hormonal balance of the body. It is such a great Ayurvedic Herbal Remedies for Fatty Liver Treatment. Bhumi Amla (Phyllanthus niruri): Bhumi amla or Phyllanthus niruri from ages is being in use as a herbal healer remedy for liver and kidney failure. It is capable to clear away the toxins from the body, detoxify the liver. Within 3-4 months of regular use it can lower the level of SGOT and SGPT significantly. It has the power to regenerate liver cells. Katuki (Picrorrhiza kurroa): It is the most effective of all herbs to improve metabolism within the liver. It can remove the excessive fat deposited in liver. It supports the digestion and fat metabolism and is a natural effective way to lose weight. Makoy (Solanum indicum): It is a small weed like herb with amazing liver healing properties. It aids in lowering down the the levels of alkaline phosphatase, useful in alcoholic liver damage, fatty liver, and hepatitis of all types. It is also a good regenerator of liver cells quickly. Punarnava (Boerrhavia diffusa): This herb is a natural diuretic herb and effective in removing excess of fat, water from body. It rejuvenates kidneys and liver cell and can make the body new again helps in regeneration of liver cells. Kalmegh (Andrographis paniculata): This is herbal remedy for liver problems, fatty liver, hepatitis and alcoholc liver disease. It helps to get rid of accumulated toxins from the liver and results in rejuvenation of damaged liver cells. Kaasni (Cichorium intybus): Kaasni or Chicory bears unique marvelous healing power to treat the liver and purifies the blood. Sharpunkha: It is supreme efficient herbal remedy for enlarged liver and spleen due to any reason. It helps in regeneration of liver cells. Bhringraj (Eclipta alba): Ayurveda has considered this herb to be used as powder for liver diseases in many ancient texts. Having amazing power to regenerate liver cells. It is advantageous in alcoholic liver disease, fatty liver, liver damage due to any other reason or excessive toxins. Dosage - 1 teaspoonful two times a day with plain water or fruit juice. Phyllanthus niruri capsules are broadly suggested that these can improve the function of the diseased liver. 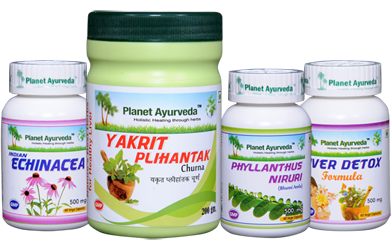 Phyllanthus niruri capsules comprise of standardized herbal extract of the whole plant, known as bhumyamlaki or bhumiamla. It is one of good Ayurvedic Herbal Remedies for Fatty Liver Treatment. Bhumiamla (Phyllanthus Niruri): This herb having cold potency and provides protection to liver and can clear away the toxins. Amazing herb with property to protect the liver from damages of toxins like alcohol and drug and is also good to relieve inflammation. Dosage - 2 capsules two times a day with plain water. Herbal supplement useful in Liver. It is a natural cleanser of the blood and removes various toxins.It is obtained from the pure extract of Kalmegh. This is one of the wonderful Ayurvedic Herbal Remedies for Fatty Liver Treatment. Kalmegh. (Andrographis paniculata): This one of the useful herb that has ability to inhibit the inflammatory mechanism of the body. Along with this it also able to remove toxins from body through activation of enzymes. Dosage - 2 capsules three times a day with plain water. This herbal product has property for liver detoxification process. This is a natural supplement preserving the liver health and capable to rejuvenate the liver and thereby maintain the health of Liver which has made it as one of very suitable Ayurvedic Herbal Remedies for Fatty Liver Treatment. In Ayurveda all these herbs blended together which works together efficiently to detoxify the liver and cleanse the body. These herbs are wonderful combination which makes the People feel cleaner and lighter and enhances the ability of Liver to efficiently carry out its work. Great blog Doctor Vikram. Actually, my uncle suffering from this fatty liver problem. I definitely suggest your blog to him, I hope all herbal remedies for this problem which you mentioned in your blog is helping my uncle fatty liver problem. Keep sharing. Yes there are wonderful results and you can always try them for liver disorders. After Jaundice how much time does it take for the liver to function properly? 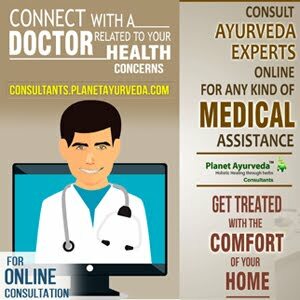 This Ayurvedic remedies will help me? Hello - Yes these herbal remedies are very useful to improve the functioning of liver and support the good liver health too. Take these medicines at least for two months and then update me on this E- mail ID - herbalremedies123@yahoo.com.